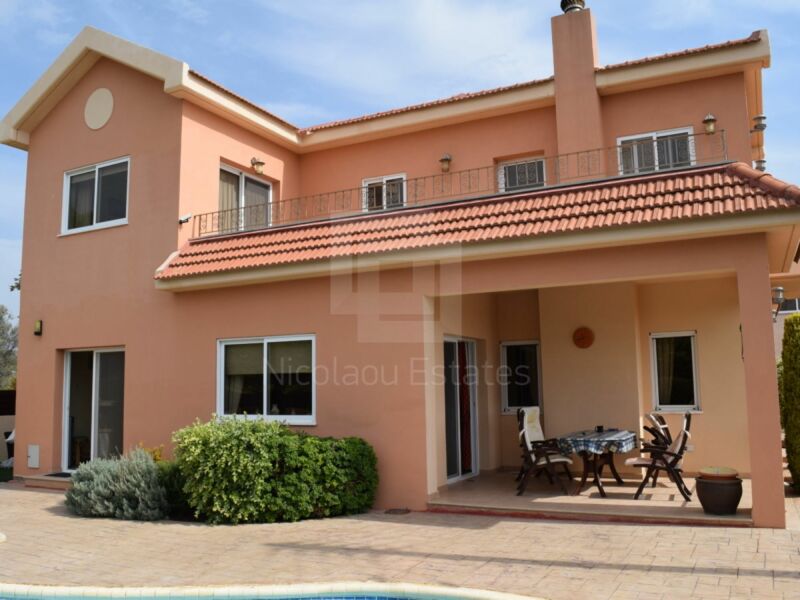 Located in the old part of Kolossi this large family home is built on 625sqm plot with a floor covering of 290sqm. 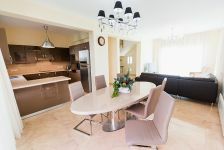 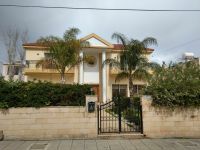 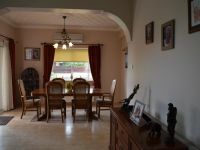 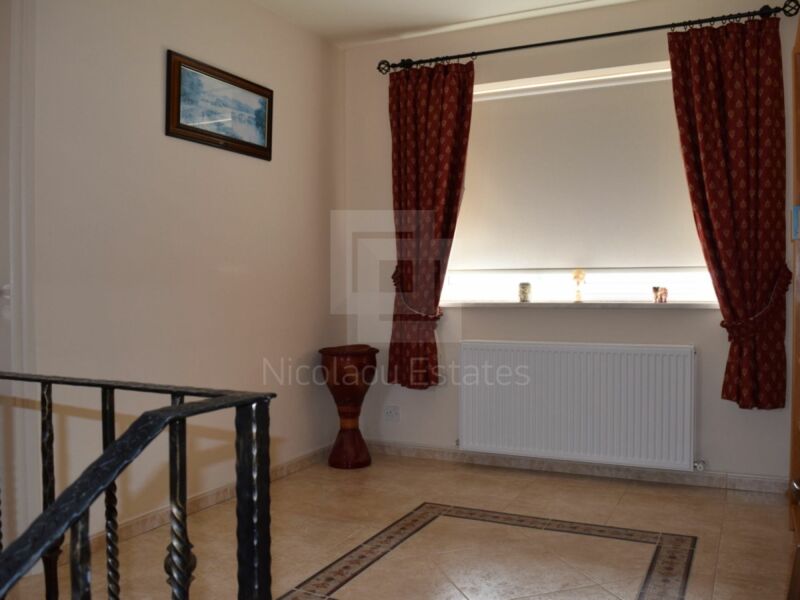 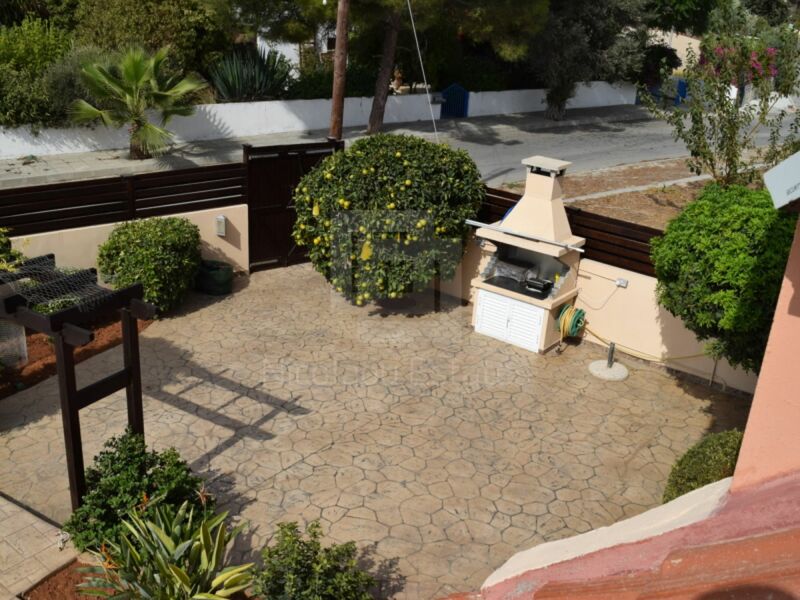 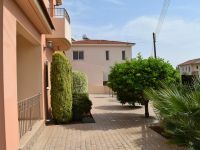 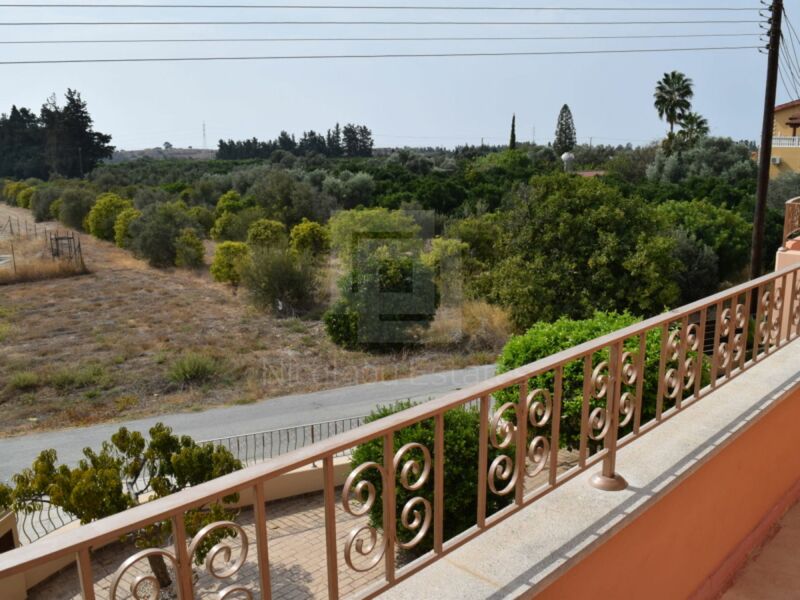 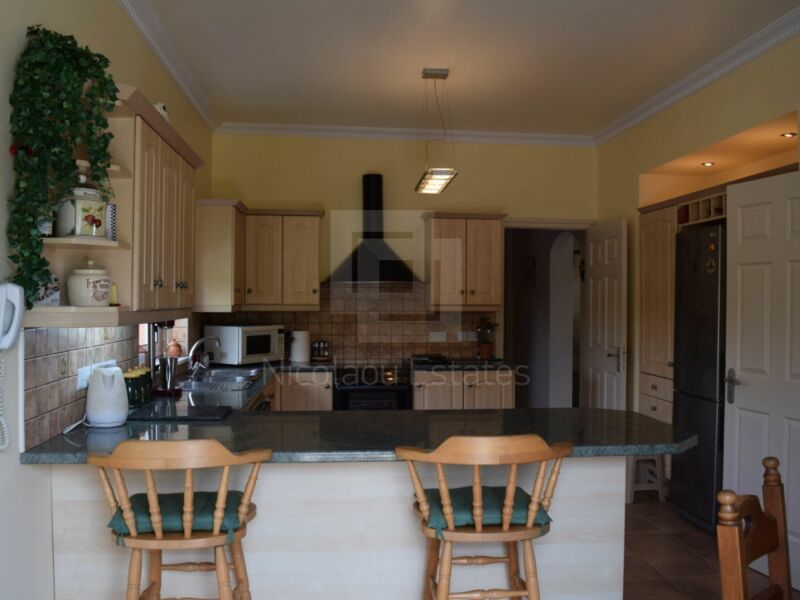 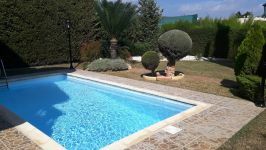 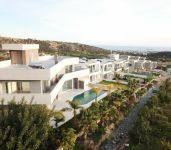 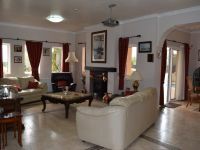 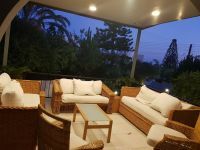 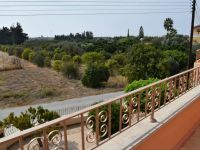 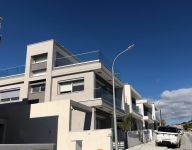 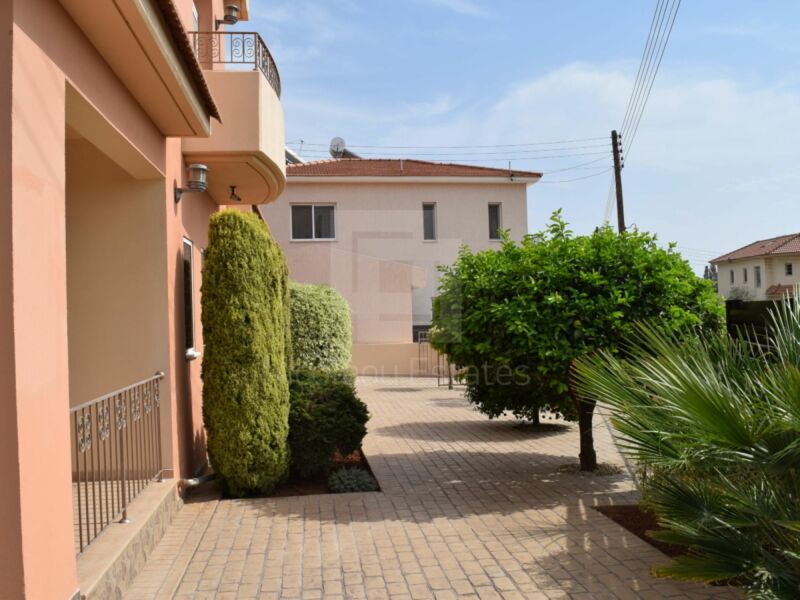 Very well presented it comes complete with TITLE DEEDS overlooks orange/olive groves and is just a short walking distance to all amenities, Schools, shops and supermarket etc and only a 15mins drive to Curium beach. 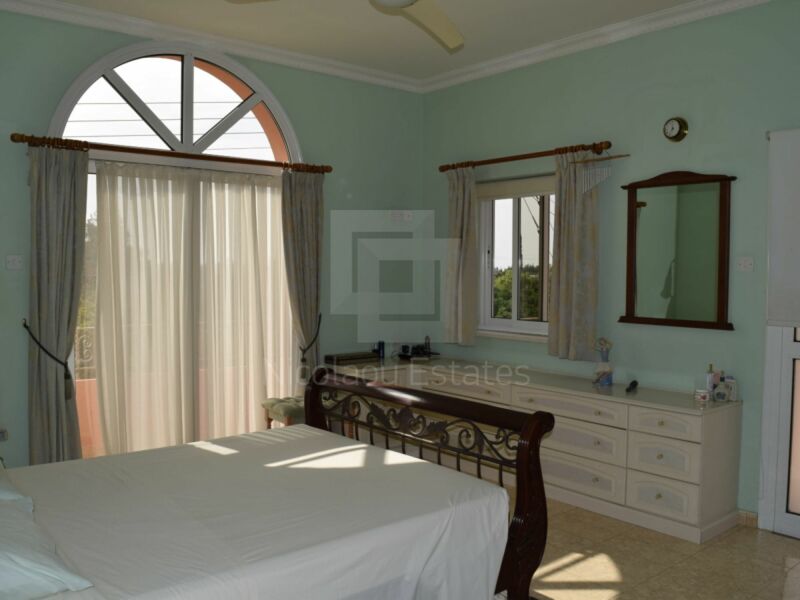 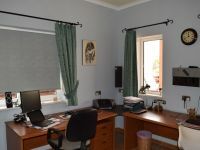 The house consists of three large bedrooms with the potential to replace the down stairs Office/Study room into a fourth bedroom should you wish. 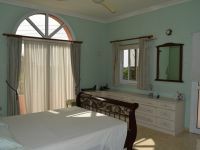 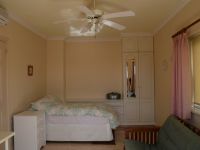 En-suite in master bedroom with built in robes in all bedrooms. 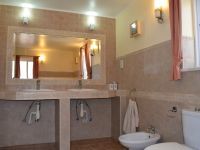 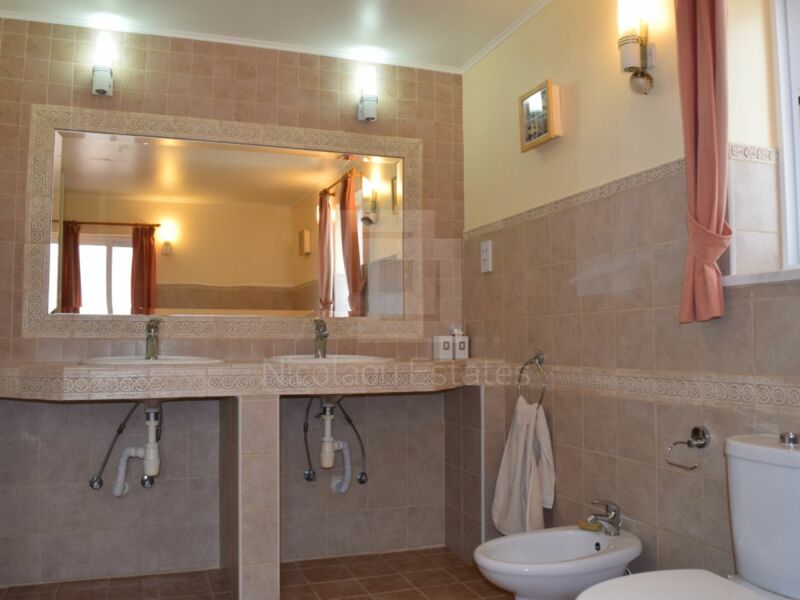 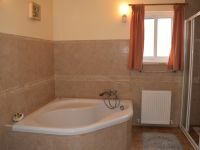 Large family bathroom with double wash had basin, separate 130cm power shower, corner bath, toilet and bdet. 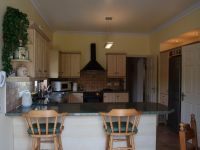 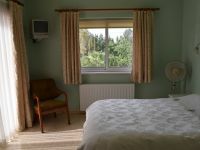 Other features include large lounge area with log burner and dinning area separate to that is the large enclosed kitchen. 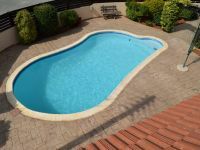 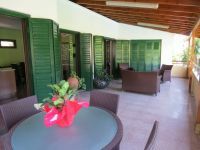 Study/Office room, Split System Air Con Utility room, Carport, Secure Parking, Outdoor Entertaining area, built in BBQ sitting area and kidney shaped Swimming Pool (8m x 4m) with the land fully fenced enclosing mature fruit trees. 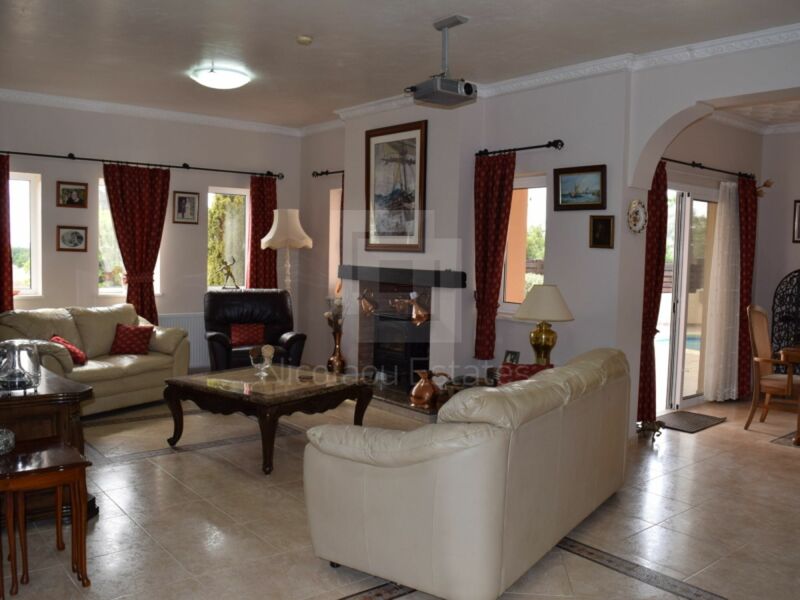 This is just a brief outline however in order to fully appreciate this wonderful house a viewing is strongly recommended. 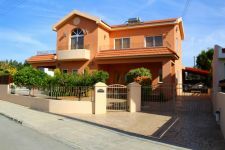 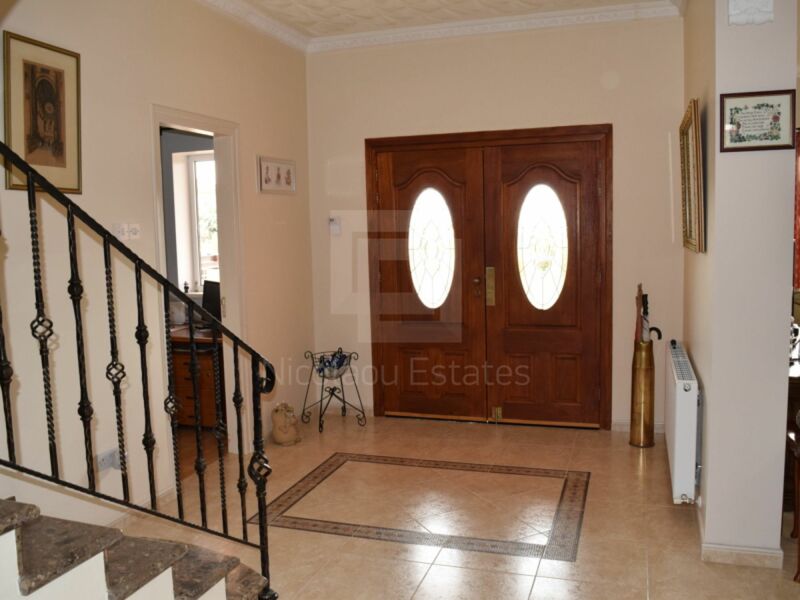 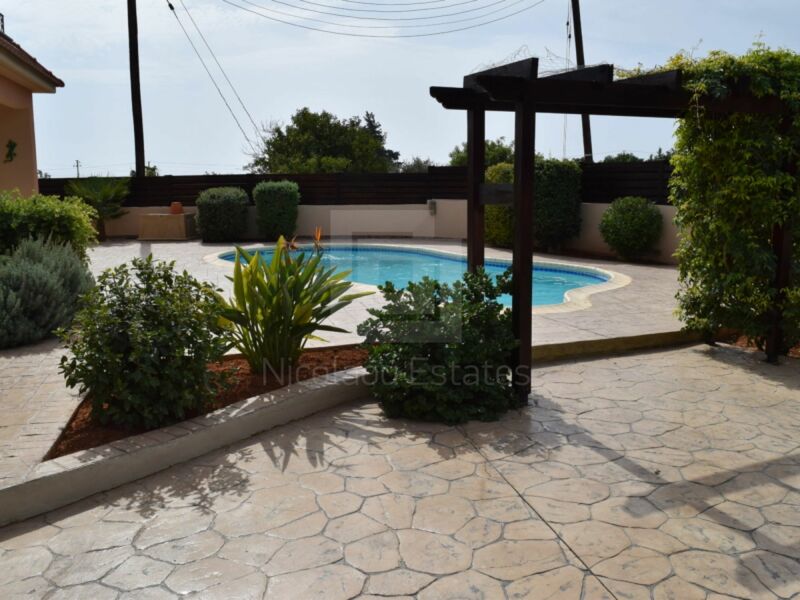 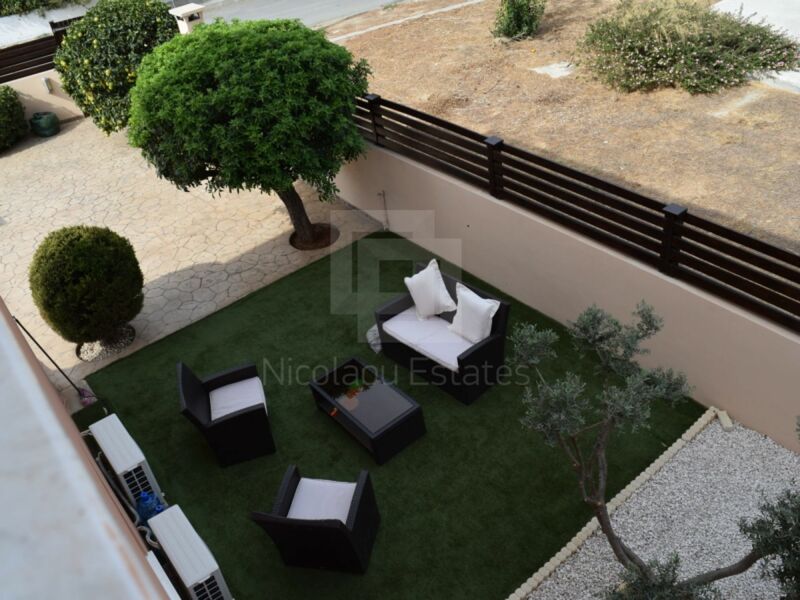 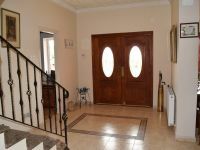 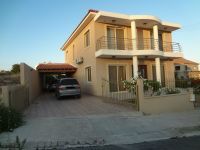 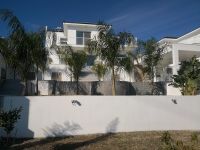 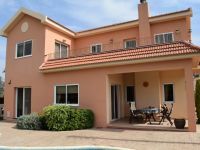 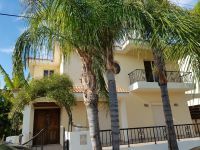 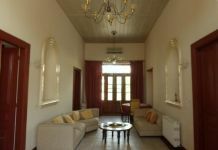 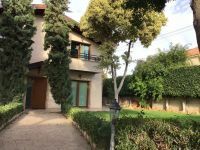 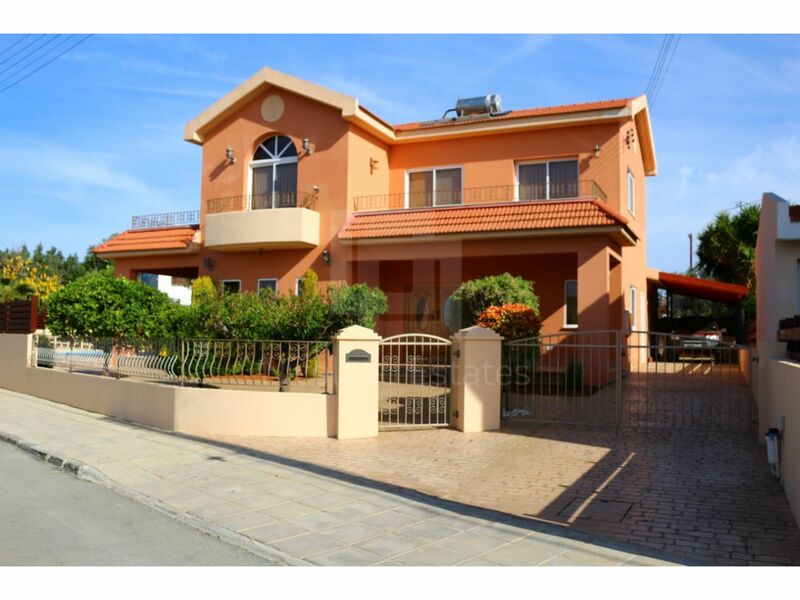 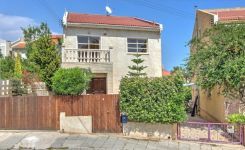 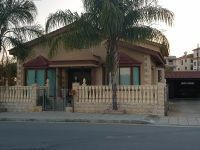 This 4-bedroom detached house in Kolossi, Limassol is being offered for sale at EUR 490.000.